Sunday night 10/12/2014 brought to close Cincinnati’s first annual anthropomorphic convention, Fur Reality by Ringtail Cafe. Fur Reality was actually initiated in 2013 as a part of an event of the Pandora Society. In 2013 the anthropomorphic events brought so many people that they had to get additional convention and hotel space. 2014 was Fur Reality’s first full con adventure on their own and they pulled it off amazingly well. For those who are unfamiliar with the Anthropomorphic, aka furry, fandom, it is an amazingly creative fandom of folks that love the stories, cartoons, artwork, and other aspects of humanized animals. As pointed out in an interview with one of the celebrities of the fandom, Uncle Kage, this weekend, anthropomorphic art and story telling goes back to the earliest of times when paintings and statues included the heads of animals with the bodies of humans and vice versa and includes literature such as Aesop’s Fables and the Bible. The furry community is known for its artists and other creative genius and that creativity was in evidence throughout the weekend. The whole convention revolved around an immersive storyline and game that rivaled what one might only find at larger conventions like Gen Con and surpassed the quality and creative focus that this writer has observed at most other events. Participants received the convention booklet with a beautiful, full color comic introduction to weekends story. A computer, The Machine, that was designed to serve humanity has concluded that the best way to serve is to integrate/assimilate humanity (and furmanity, of course!) into her core. In an effort to end the hostilities without further bloodshed and loss of resources, The Machine has agreed to a weekend competition. The winner of the most points receives humanity as the prize. If humanity wins, the computer agrees to a reboot, but if she wins, humanity will be assimilated without further resistance. The points were awarded for solving puzzles, helping out with the convention, making purchases in the vendor’s room, and attending/participating in events. The point counters were four different sets of double sided, full colored, glossy, business sized cards that were collected at the end of the weekend. The Machine had times over the weekend when ticket holders could turn in their tickets for spins on a prize wheel and win trinkets to take home with them. 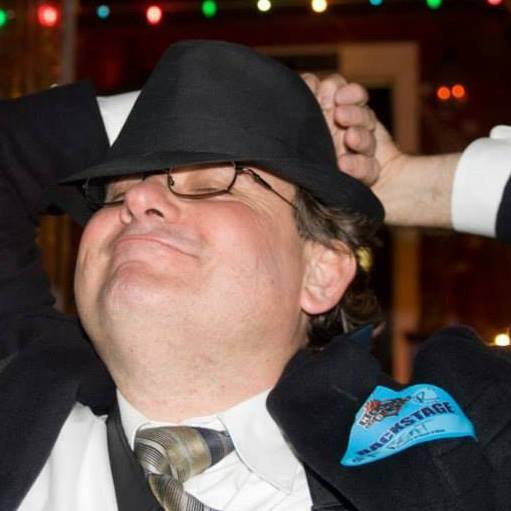 The events of the weekend included lectures and demonstrations related to costumes, comics, and other creativity, karaoke, comedic performances by Xander the Blue, Alkali Bismuth, and the incomparable Uncle Kage. 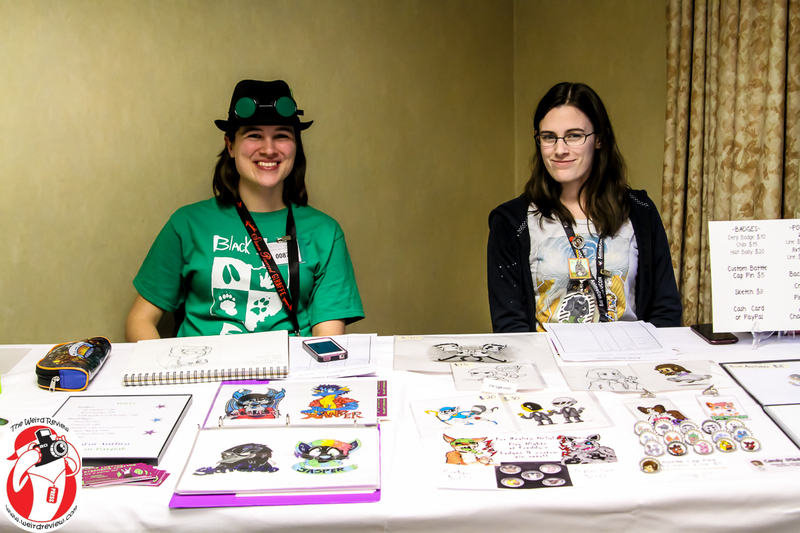 Games and gaming were also a big part of the convention from board and role-playing games to fursuit games like hot potato and musical chairs. In the main events area a life-sized board game was set up with the playing pieces (convention participants standing on the squares) going around the audience. The players in front rolled beach ball sized dice to move the playing pieces around the board. The squares they landed on would determine the next competitive game that the rest of the team members would play from pool noodle sword fighting to Nerf duels. For more photos and fun, follow John N. Collins on Twitter, Instagram, Youtube, and Facebook and be sure to let him know your thoughts!